I’m kind of obsessed with this dip. 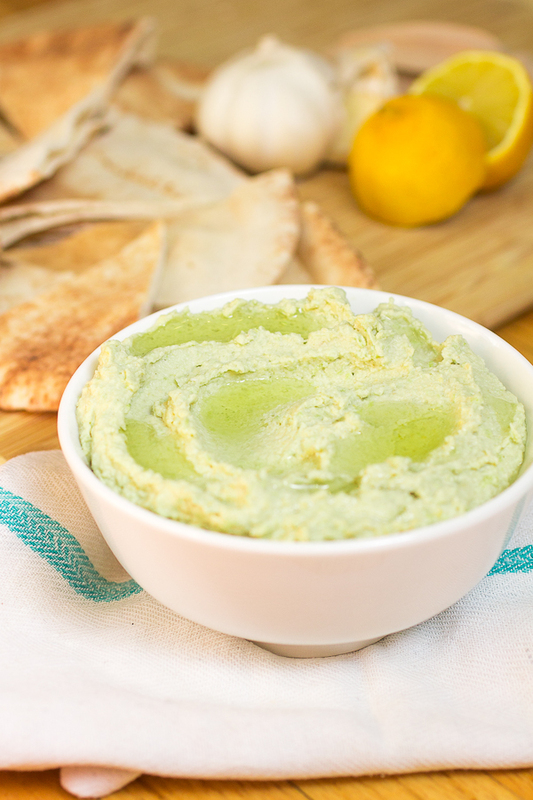 Not only is it healthy and delicious, it’s also insanely easy to make. Oh, and it’s cheap, too. Whenever I’m in a dollar store or some place similar, I like to grab a can or two of low sodium chickpeas to have on hand. 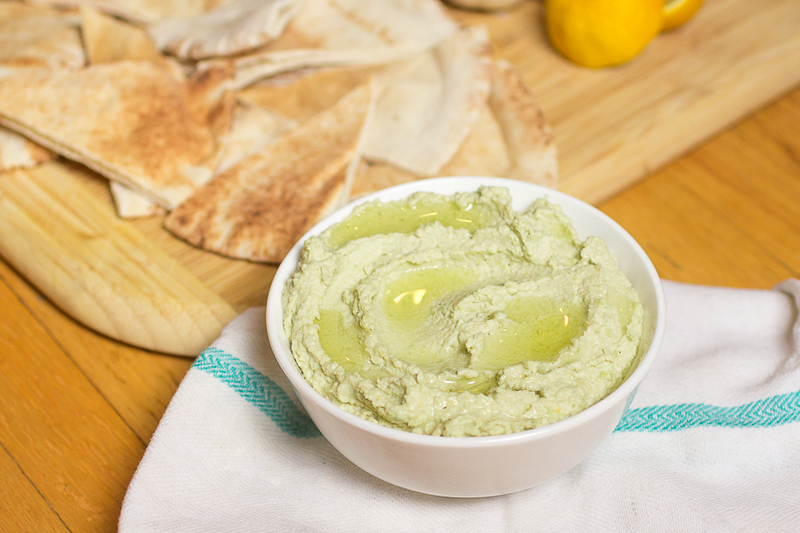 Using dried chickpeas is ideal for making traditional homemade hummus, but it’s not always practical. You have to soak them overnight, and then boil them for what feels like a decade. 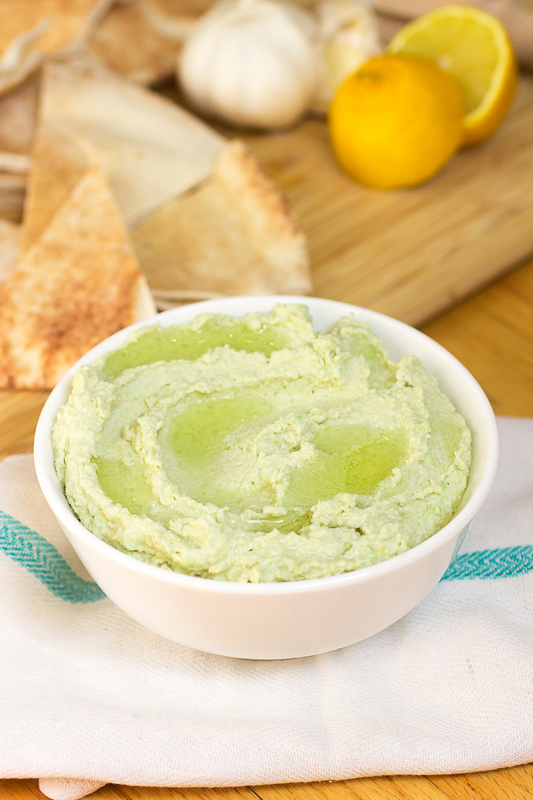 This light and healthy edamame hummus can be whipped up in 10 minutes or less and is packed with flavor. Start by boiling the frozen edamame beans according to the package instructions (For me, it was 5 minutes). Drain and rinse with cold water. Let sit until completely cool to the touch. In the bowl of a food processor, pulse together the tahini and garlic. Then add the lemon juice, edamame, and half of the water (about 4 T). Puree until smooth; about 2 minutes. Drain the chickpeas and rinse twice with water. Then add to the bowl of the food processor along with the salt and remaining water. Puree until smooth; about 3-5 minutes. When you have reached your desired consistency, add the olive oil and puree until just incorporated. (Olive oil becomes bitter if pureed for too long). Serve immediately or refrigerate for up to 1 week.